We offer instant photo printing in 8×6″ (20x15cm) printed in minutes from your camera and you can even take away your printed photos from your mobile phone, email, or USB stick (flash drive), or you can simply email the photos to us and we will take care of the photo printing for you. We can print photos from your iPad or Tablet and even mobile phone instant photo printing in a variety of photo sizes – just pop into our store and get your photo prints completed in a matter of minutes. We can print photos instore in all of the following sizes, instantly! Your Photo Prints will be available in Matt Finish or Gloss Finish. Our prices can go as low as £0.49 per photograph and we can print a minimum of three photos. Our staff will always offer you 100% support in transfer of your files from your phone or usb onto our software to print. We can have it all done in only a few minutes. Our staff can also print your photos in any size to fit your Photo Frame. Just provide us with the exact measurements and we will print them for you and we are always here to help you with photo printing. 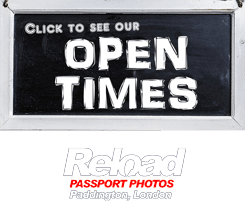 Watch the Video on how quickly we an print your photos in our store in Paddington. We can print one single photo to over 100 – in a variety of sizes. If you require custom sizes for your photo printing or large orders – then please email us directly. We cater for all clients all over London that require photo printing and can offer quantity discounting.